It’s been 6 years since we added CAD CAM technology to our manufacturing process. 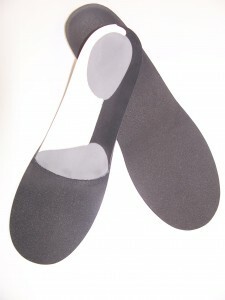 The addition has been very successful in many ways, while accuracy, and efficiency are the most notable benefits, having the option to reproduce the exact same positive months or even years down the road has proven very popular for making second pairs for many satisfied patients and clinicians. Our 2nd pair discount is made possible by a streamlined protocol that somewhat reduces labor and administrative requirements. When 2nd pair orders arrive without a completed work order form it’s often more time consuming to build than the original pair due to the added administrative duties of information gathering, interpretation and verifying. Make sure all of your 2nd pair orders include a completed work order form to avoid any confusion and qualify for the appropriate discount as orders without a completed form are not eligible for the second pair discount or warranty. Take advantage of our technology, discounts, and accuracy as we strive to be a positive pedorthic resource by maintaining high industry standards through our continuous improvement. Thank you for helping us to help you. See more bioTips.